Pretty $mart G.U.R.L.S. positive-message apparel needs votes of support. This is an amazing opportunity for the girls of G.U.R.L.S. Rock to share their dreams with the world and to take charge of the change they want to see. Some innovative young social entrepreneurs girls from the San Francisco Bay Area G.U.R.LS. 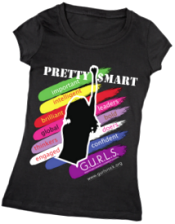 Rock Leadership Program have developed their own line of positive message apparel called "Pretty $mart G.U.R.L.S.™ and are competing in Walmart's "Get on the Shelf" contest, a competition where the voting public can decide the fate of a product to be sold online at Walmart and ultimately obtain shelf space for its merchandise in Walmart stores. To support these girls, you can vote for Pretty $mart G.U.R.L.S. daily from now until April 3, 2012. 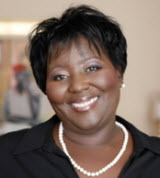 Established by Dr. Raye Mitchell, practicing attorney-turned social entrepreneur, the non-profit G.U.R.L.S. Rock Leadership Program is a training program supporting girls in becoming future global leaders. Pretty $mart G.U.R.L.S. logo apparel started as a protest and national outcry against J.C. Penney for the demeaning and inappropriate message to girls on their sweatshirt that read: "I'm too pretty to do homework, so my brother has to do it for me." Walmart launched the “Get on The Shelf contest” as an opportunity for entrepreneurs and inventors with a new idea to gain visibility and access to a sales opportunity of the scale of Walmart. Officials from the largest retailer in the nation commented that fashion apparel in among the top five product categories submitted to "Get on the Shelf."